The backup and restore feature is an important part of Floating Apps. 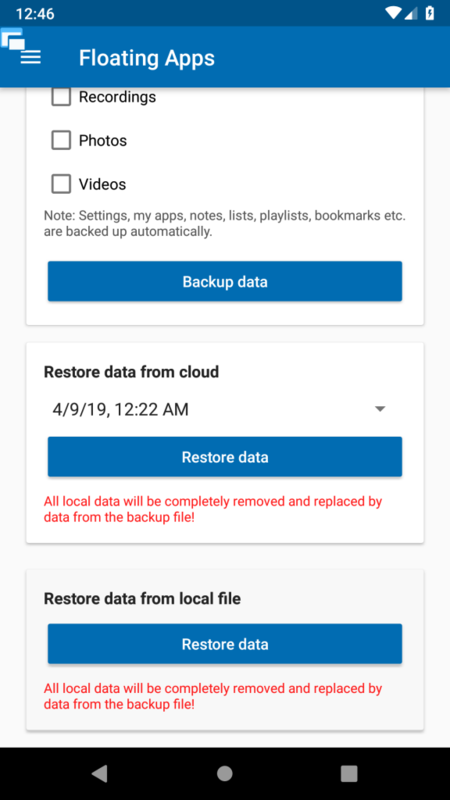 It has already gone through a lot of changes and we’ve recently introduced completely new version with support only for cloud backups with Google Drive as a storage provider. Over the time, it showed up that this might not be the best decision as it also came with limitations for those, who are not using Google Drive, don’t want to use it or can’t use it. The bottom button for restoring configuration from local file can now restore both old and new backup files. It automatically detects the format, so you can just select the file and wait a second :-). 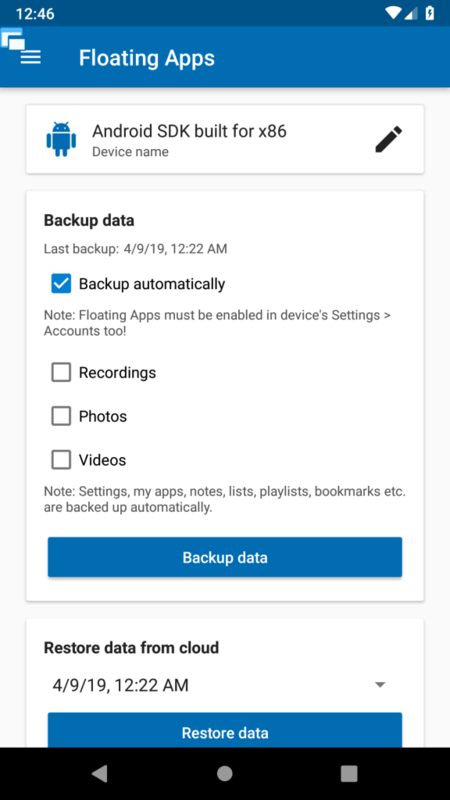 However, if you don’t configure Google Drive in Storages, the interface is slightly different and will miss things that are not necessary for the local backup. It’s much simpler. 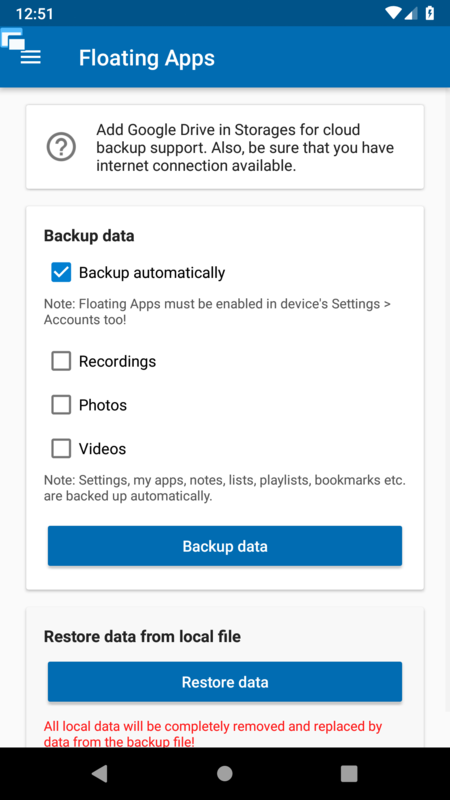 Created backup files are stored on your SD card in Floating Apps/backups. They are stored here for both local and cloud variants as they are save here before they can be uploaded to Google Drive.